Flat open land, moon dust, fast food restaurants, semi trucks, disturbingly overweight humans, and oil drilling machinery lining the horizon. I can’t decide if it feels more like some post-apocalyptic futuristic nightmare, a scene from ‘No Country for Old Men’ or a scary reality of what a large part of America actually is. Either way… it felt surreal and a bit uncomfortable with a ‘conquer the earth’ mentality. 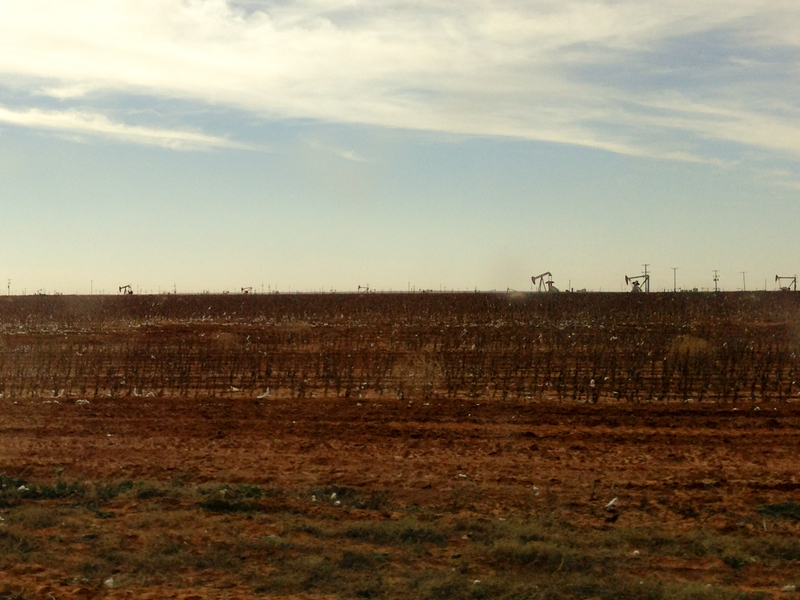 That was West Texas…. and to be honest, I was a bit concerned about what the rest of Texas would be like. 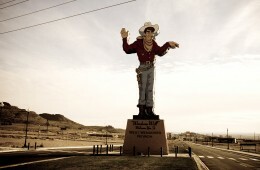 We stayed a couple days at an RV park in Big Spring, a short distance from Midland, TX. The RV park was an interesting experience. The people were extremely friendly and welcoming… some of the nicest people we’ve encountered on this entire trip. Almost all of them lived permanently at the park and they had quite a close-knit community. Everyone knew everyone… we learned the latest gossip on them all. There was a field in the middle of the place (where we were camped) where people would walk their dogs and visit, also an outdoor communal kitchen. It felt somewhat similar to what I would imagine an old hippy commune to be like… but in a very different style. 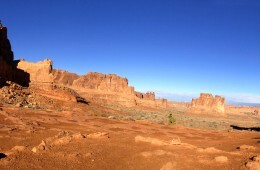 In some ways, it was neat… in others, depressing. The people were mostly extremely overweight, many migrated there for jobs in the oil boom, and most lived there only because they couldn’t find or afford housing elsewhere. I guess they were making the best of it. One night we set out to find a famous dance hall in the area called The Stampede that was opened back in the fifties. Apple maps app certainly doesn’t care about this area, as they lead us on multiple goose chases that ultimately ended on dirt roads somewhere amidst the oil fields. At times the moon dust on the roads was several feet deep and was clearly only driven on by big 4×4 trucks. My car did impressively well and somehow managed to swim through it… all-wheel drive at it’s finest. Our poor bikes on the back were buried in the dust. A few close calls, but luckily we didn’t get stuck out there. Several hours later, we eventually found the dance hall, a giant barn on the side of the road. It was unfortunately closed. No dancing, but an adventurous night nonetheless.